A pilot project for Swainson’s hawk is creating high-quality nesting habitat on a 4,000-acre farm in San Joaquin County. Landowners and environmentalists both grapple with the same question: In the midst of uncertainty, what is the most effective way to reconcile short-term and long-term needs for wildlife habitat? 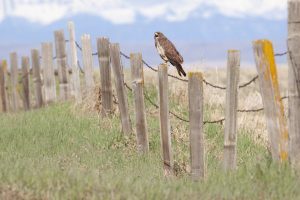 For example, it can be risky to invest in permanent conservation on a property vulnerable to climate change, but failing to protect existing habitat in the face of uncertainty is an existential threat to species like the Swainson’s hawk.